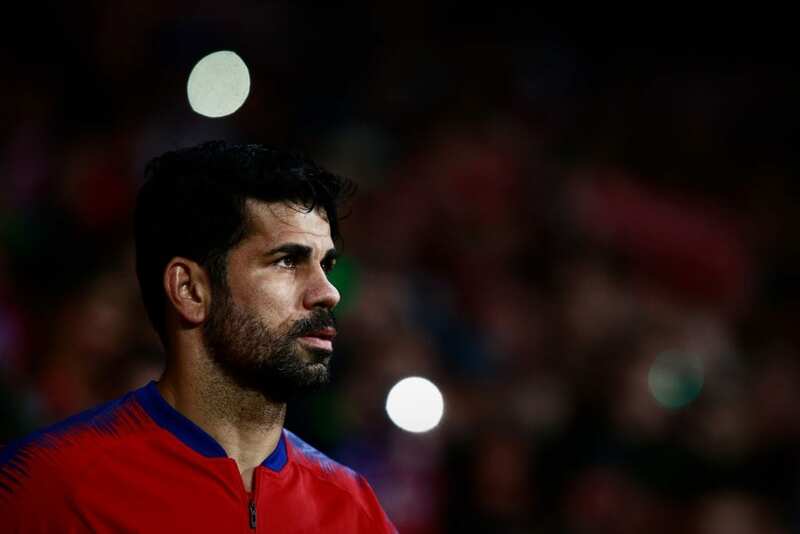 Diego Costa’s season has been effectively ended after receiving an eight-match ban for abusing a referee during Atletico Madrid’s 2-0 defeat to Barcelona. 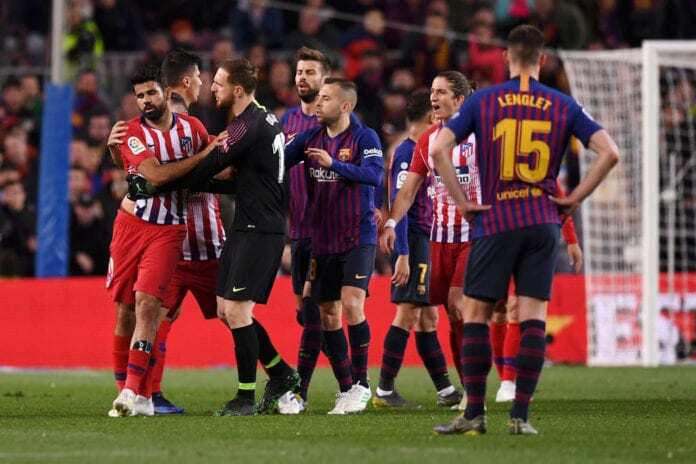 Referee Jesus Gil Manzano gave Costa a straight red card during last weekend’s top of the table clash between Barcelona and Atletico at Camp Nou in the 27th-minute. The former Chelsea striker felt he had been fouled and furiously confronted Manzano over his refusal to not play an advantage for Atletico. But the match official didn’t take kindly to Costa’s poor choice of words and gave the Spain international his marching orders. Gerard Pique then stepped in and ushered him off the pitch. These words did the trick and convinced the Brazilian-born striker to leave the field in a more peaceful manner. But Manzano’s match report later revealed that Costa had insulted his mother. Therefore, the Royal Spanish Football Federation (RFEF) has pulled the curtain on Costa’s season by suspending him for the next eight La Liga games. The RFEF has given Costa a four-game suspension for insulting the referee and another four for clutching the official’s arm. “I asked the referee and he told me Costa said something to him,” said Atletico boss Diego Simeone after last Saturday’s game. Hence, the 30-year-old will be unavailable for Atletico’s final seven league fixtures as they attempt to fend off city rivals Real Madrid for second-place. It marks the end of what has been a difficult season for Costa, who was sidelined with a foot injury for two months. In total, Costa managed just five goals and three assists in his 21 appearances for Atletico across all competitions. Next articleQuiz – How much do you know about Cristiano Ronaldo?